Last year Lincoln Motor Company did something it’s never been able to do before, impress me. But alas, earlier this year they followed that momentous occasion up by once again letting me down with the announcement that the brilliant new Continental won’t be with us much longer. It came as part of parent Ford Motor Company’s decision to axe every single car in its North American lineup other than the Mustang, which will leave the two-door sports coupe and convertible running wild within an expanding lineup of SUVs and trucks, like the feral horse it was named after. 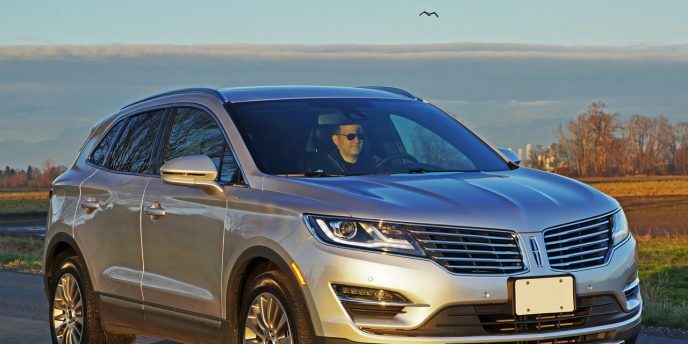 When this happens sometime in 2020 the Lincoln brand will have four sport utilities to its name if everything (except the MKT) stays the same, including the compact Escape-based MKC (which will likely be renamed), the mid-size Edge-based Nautilus, the larger three-row Explorer-based Aviator (which replaces the MKT), and the full-size Expedition-based Navigator. At first glance this move away from cars makes sense. 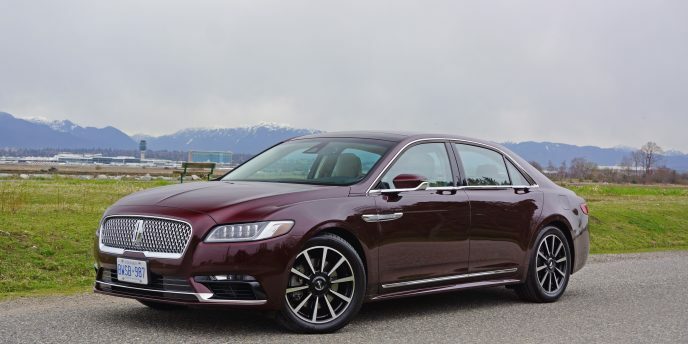 Like most competitors, Ford is experiencing a steady decline in car deliveries from both its blue-oval namesake brand and Lincoln, with the lovely Continental never finding much sales traction at all. Lincoln sold just 576 units in Canada throughout calendar year 2017, and just 369 over the first nine months of 2018. 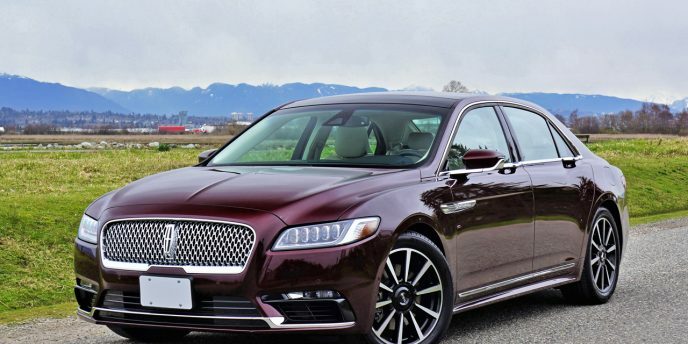 This said the Continental is nevertheless a stronger seller than the directly competitive Genesis G80 that found just 433 Canadian buyers last year and 289 over the same three quarters of 2018, or the Cadillac CT6 with only 352 deliveries in 2017 and 175 up until September 30, 2018 (while the Cadillac CTS’ 370 units just edged the Conti out), the Lexus GS with 328 and 163 sales respectively, the Jaguar XF with 494 and 133 (how great they fall), the Acura RLX with a mere 59 and 55, and finally the Infiniti Q70 with 66 and 44. Surprisingly, of the cars listed above only the two Cadillacs are scheduled for discontinuation (next year, along with the XTS and Buick LaCrosse), with all of the other models built by luxury brands dedicated to full model lineups and therefore willing to suffer through temporary pain in order to (theoretically) achieve long-term gain (when the market shifts back to cars). And herein lies the rub. Lincoln risks being relegated even further down the luxury brand desirability scale (I could add something snarky like “if that were even possible”, but against all odds Buick still exists), which is a shame after doing such an excellent job with this Continental, and then sharing much of its ritzy new styling with the smaller, slightly stronger selling MKZ (of which Lincoln sold 994 last year and 684 as of Q3 2018), which will also soon be eliminated. Also surprising, the Continental sold nearly as well as the Audi A6 and A7 over the past nine months, the German four- and five-door models finding 376 and 367 luxury buyers respectively, but Ingolstadt just redesigned these two and therefore isn’t calling for their resignation. Truth be told, Ford can’t be considered a particularly good steward of luxury brands since Lincoln’s heydays in the 1960s and early ‘70s. While it should receive kudos for making Jaguar reliable in the ‘80s, and arguably saving it and some other British brands from near certain extinction, Coventry and Solihull’s Land Rover, Newport Pagnell’s Aston Martin, and Gothenburg’s Volvo have enjoyed a lot more success since escaping the clutches of Dearborn. And as for Lincoln, it’s been looking for a wholly likeable and uniquely face since absconding with the Rolls-Royce waterfall grille in the ‘60s and ‘70s. I’m talking about the bland, generic nothingness designs from the ‘90s, the BMW-like façade used for the early aughts’ LS, the early ’60s-era Continental-inspired grille used through the mid ‘00s and early teens (this probably my favourite), the split-wing grille design most recently abandoned, and what can arguably be deemed a take on the current Jaguar XJ’s front fascia now. Ford only need look at its own brand management to see why Lincoln has failed, but at least they’ve finally built a car that, while once again bearing a completely new visual identity, is worthy of careful consideration by serious luxury car buyers. Last year I spent a week with a Continental 3.0 GTDI AWD Reserve, and as noted earlier was thoroughly impressed. It was painted a beautiful Burgundy Velvet hue and was stunning to look at, while inside it received Cappuccino leather-lined detailing that was downright opulent. This time around the exterior colour is Midnight Sapphire Blue and the cabin is once again finished in the rich Cappuccino theme, which is only a shame because I would have liked to try its saddle brown Terracotta leather, or maybe Jade Grey. More traditional luxury buyers can opt for Ebony black, but this ain’t no Town Car so why be normal? In fact, the new Continental is unlike anything Lincoln has ever produced before. Truly, I haven’t liked a Lincoln four-door as much since the opening scene of Thunderball, the Lehmann-Peterson crafted ‘64 Continental Executive Limousine being Albert R. Broccoli’s chosen ride of Colonel Jacques Bouvar’s bereaved widow (and Jacques/Spectre Number 6 himself, we’ll later learn), a car I could get used to having in my personal collection. The four-door ‘65 Continental Convertible that James pulled up to Emilio Largo’s Nassau waterfront estate halfway through the film was even prettier, although I like the original front end design of the version used to drop 007 off to Fort Knox in Goldfinger better. That’s how cool Lincoln used to be, and while we now know that a four-door phaeton (convertible) version of this new Continental won’t be forthcoming, I could certainly see the likes of modern-day Don Drapers pulling up to their wannabe Manhattan offices in one of the two new Continentals I recently drove. In fact, while feeling somewhat dapper behind the wheel of my latest Conti I found myself contemplating the purchase of a classic Brooks Brothers ‘60s-era styled suit of my own, and of course something along the lines of an Omega Seamaster Deville or Tudor Oyster Prince for the wrist. While sporting a vintage watch and classic styled suit won’t likely leave you stranded on the road or cause any bodily harm if you get in an accident (unless the watch makes you late), living with a classic car might. They’re just not good daily drivers, lacking the reliability, safety, comfort, performance, and technology of today’s machinery, but the new Continental combines all of the above in a respectful homage of the early-to-late ‘60s model that previously bore its name. Maybe homage isn’t the right word, as the new Continental’s chromed mesh grille, available bejeweled LED headlamps, single-piece LED taillight cluster, and many other finely crafted details are nothing like that early car, but its big blocky upright three-box luxury sedan lines and its commanding overall presence conjures the spirit of classic Lincolns better than anything in the brand’s recent past. In other words, I like it. I like it a lot. Details worthy of closer attention include the artfully shaped metal side mirror posts that provide a perfectly flat base for the housings’ power-folding pirouette when approaching the car, the uniquely exposed hinge-like chrome fender/door trim just beneath, and the gorgeous chromed door handles that perfectly align with the side window beltline trim until protruding outward to meet your hand. It’s features like these that make this new Continental the Jaeger LeCoultre Grande Reverso Ultra Thin Duoface of cars. OK, I’m having a little fun with this one, but that’s only because the new Continental makes me feel different than most others in this class. Maybe I’m a bit bored of the usual Mercedes, BMW, Audi, Lexus, etcetera, and want to spend time at the wheel of something with a little more majesty. If you feel the same, you should consider the Continental, as it pours on old world charm in similar fashion to a Bentley or Rolls-Royce, albeit with better electronics and a much more approachable price tag. The top-line Continental Reserve interior is fabulous, with equal parts elegance and technology. Most surfaces that aren’t genuine open-pore hardwood, chromed metal, or digital interfaces are soft to the touch, whether made from composites or supple leathers. Front and rear seat adjustability borders on the ridiculous, and they’re four of the most comfortable chairs in the industry. Those in the first row of my tester were Lincoln’s $750 optional 30-way powered multi-contour type. Yes, you read that right—30-way. 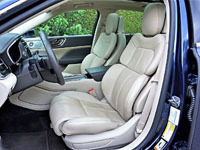 Lincoln registered no less than 50 patents for these, whereas the two outboard passengers in back are treated to the $5,000 Rear-Seat Package (RSP) that includes 40/20/40-split folding/reclining via powered actuation, four-way powered lumbar support, airliner-style head restraints, heated and cooled cushions, side window sunshades, a twin-panel panoramic moonroof, rear-duct B-pillar registers, inflatable safety belts, and a flip-down centre armrest with an impressive set of integrated audio, climate, and sunshade controls, plus cupholders. My tester also included the $5,500 Luxury Package boasting premium LED headlights and 19-speaker Revel Ultima audio, as well as a $4,000 Technology Package that added a 360-degree surround parking camera, active park assist semi-autonomous parking, a head-up display, adaptive cruise control, pre-collision alert and assist with pedestrian protection, active emergency braking, lane departure warning, lane keeping assist, a driver alert system, and more. By the way, I sourced all of the 2018 Lincoln Continental’s pricing from CarCostCanada, where you’ll find detailed information about all the trims, packages and standalone options, plus otherwise hard to find rebate info as well as dealer invoice pricing that could save you thousands. Standard features on my $63,900 Continental Reserve 3.0L tester (the base model starts at $56,650) include most anything you can think of not yet mentioned, with some highlights being a beautiful set of machine-finished 19-inch alloys with black painted pockets, automatic high beams, remote engine start, proximity-sensing keyless access, ambient lighting, pushbutton ignition, power-cinching doors, a powered tilt/telescoping steering column with memory, a leather-wrapped heatable multifunction steering wheel, a fully configurable TFT colour gauge cluster, Lincoln’s trademark pushbutton gear selector, 24-way heated and cooled front seats with independent powered thigh extenders and driver’s side memory, Bridge of Weir Deepsoft leather upholstery, tri-zone auto climate control with rear seat controls, heatable rear outboard seats, Sync 3 infotainment with an 8.0-inch LCD capacitive touchscreen featuring tap, swipe and pinch capability, Apple CarPlay and Android Auto, voice-activated navigation, and a rearview camera with dynamic guidelines. Additional Continental Reserve features include an embedded modem, Wi-Fi, 13-speaker Revel audio with HD and satellite radio, a universal garage door opener, rain-sensing wipers, auto-dimming rearview and driver’s side mirrors, a 110-volt household-style power outlet, front and rear parking sensors, blindspot monitoring with rear cross-traffic alert, active noise cancellation, a powered rear window sunshade, power-folding rear headrests, a hands-free powered trunk lid, plus plenty of active and passive safety features. The standard V6 powertrain displaces 2.7 litres and gets twin-turbocharging for a formidable 335 horsepower and 380 lb-ft of torque, so in other words there’s absolutely no reason to upgrade unless you simply must have the best. This said my tester’s twin-turbo V6 was bored out to 3.0 litres for 400 horsepower and 400 lb-ft of torque, plus the same six-speed automatic gearbox with paddle-shifters and standard AWD were added, except for the inclusion of active torque vectoring. If I hadn’t already spent a week in a near identically equipped Conti I might have made the mistake of driving it like a Town Car, but fortunately I was well versed in its wonderfully quick acceleration and surprisingly nimble chassis dynamics, resulting in my treating it with the same level of fast-paced nonchalance as I would an Audi A6 or one of its Teutonic competitors. Lincoln’s Canadian team conservatively claims 6.2 seconds from standstill to 100km/h, but south of the 49th their bragging about 5.5 seconds to 60 mph, which when converted into metric is closer to 5.7 seconds. That’s a more realistic seat-of-the-pants zero to 100km/h number, and making matters better the Conti’s straight-line performance is backed up by a fully independent suspension that’s as capable of zigging and zagging as it is zooming. As usual I was tempted by a riverside drive on a quiet weekday afternoon, the winding two-lane roadway that courses along a local waterway being one of the only circuitous ribbons of pavement within close proximity to the otherwise squared grid of latticework streets near my home. Once again this hot rod Lincoln’s sharp reflexes surprised, a simple push of the big “S” on the brand’s dash-mounted pushbutton gear selector engaging Sport mode for quicker throttle response and a stiffer, more engaging chassis. The aforementioned paddles behind the otherwise luxe stitched leather and chrome-laden steering wheel prompted its automatic gearbox to shift through all six cogs with quicker precision than any previous Continental, but six forward gears is hardly state-of-the-art anymore. Still, each shift increment was faster than expected and I never really felt it needed more, the engine’s ultra-wide torque curve and gobs of power more than making up for any lack of forward gears. The Conti leans ever so slightly when pushed beyond reason, but once again it never had me feeling the least bit uncomfortable, but rather provided a smooth and compliant ride while maintaining complete control. Considering its V8-like performance, sizeable heft and impressive load of features I can forgive its estimated 14.5 L/100km city, 9.8 highway and 12.3 combined fuel economy rating, and these numbers certainly don’t tax the environment much more than the less powerful engine’s claimed 14.0 city, 9.4 highway and 12.0 combined. Then again BMW’s 456 horsepower M550i gets a 14.3 city, 9.4 highway and 12.1 combined rating and sprints from zero to 100km/h a second and half faster, while Mercedes’ E43 AMG chops more than a second from the big Lincoln’s sprint time despite achieving 12.4 city, 9.4 highway and 11.1 combined, albeit at a price. And therein lies the second rub, or alternatively an opportunity depending on how you look at it. Certainly most buyers capable of paying upwards of $80,400 for the E43 AMG or $83,000 for the M550i won’t even turn and glance at this top-line Continental that, with all options noted earlier retails for just under $80k before freight and fees. That’s lower than its German rivals’ entry points, with options driving their respective MSRPs into six-figure territory, making the Continental big-time value option. Making matters more interesting, 2018 models are still available as I pen this review in December. After all, Lincoln wouldn’t be cancelling it if Continentals weren’t just trickling off the showroom floor, a scenario that allows for a better than average opportunity to score a major discount, especially this time of year. So give yourself a big, beautiful Lincoln Continental for Christmas this year, or at least tease yourself by taking one for a ride. I guarantee you’ll be impressed. I have an admission. I'm thoroughly impressed by the new Lincoln Continental. Truly, I haven't been so fond of a domestic luxury sedan since Cadillac started getting things right with its CTS. Full disclosure, I haven't yet tested the new Cadillac CT6, so I won't attempt to compare the two. Even if I did I can't see the Continental falling short, as it completely stands on its own merit. What I mean is, the new Conti isn't Lincoln trying to be something it's not, ironically a continental European. In fact, it's truer to American luxury ideals that any domestic car has been in some time, espousing a unique identity that should be openly celebrated rather than shied away from as if there's something wrong with big, pampering luxury sedans. Is the new Continental a game changer for Lincoln? 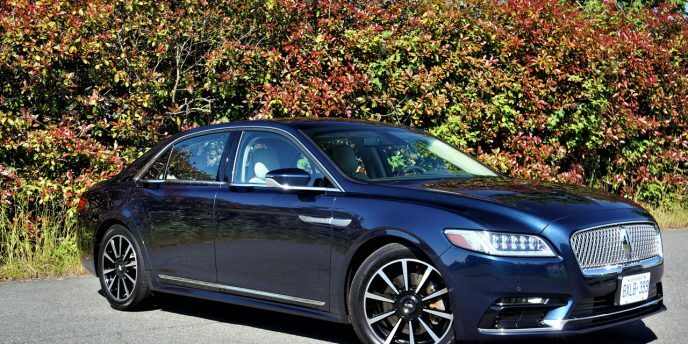 Ford’s luxury brand is hardly the first choice for most of today’s high-flying execs, but its new 2017 Continental could change market perceptions as well as Lincoln’s fortunes. How do we know? We’ve got a near top-line 400 horsepower 3.0-litre turbo V6 Reserve trimmed model in our garage this week and so far so good… or rather, so far so great! The Continental offers a brand new face in the luxury segment, which is nothing new for Lincoln that’s been changing up its design language every half decade in a seemingly never-ending quest for a new trademark look since the classic Rolls-Royce-like waterfall radiator went out of style back in the ‘90s, along with the last car to wear the Continental nameplate. Still, Lincoln may just be onto something that sticks with the new Continental. We weren’t first to question the new model’s familiarity to Jaguar, a brand Ford Motor used to own along with Land Rover, Aston Martin and Volvo within its now defunct Premiere Auto Group division. Ford has come under fire for unabashedly borrowing key design cues from these brands in past and current models, Land Rover styling purged for the Explorer, Aston Martin for the Fiesta, Focus and Fusion, and the Jaguar E-Type’s muse previously called upon for the big oval grilles in ‘90s Taurus and Contour models. Now that the Continental is parked in our driveway, however, it takes on a look all its own. Our Burgundy Velvet painted 3.0 GTDI AWD Reserve tester gets a Cappuccino luxury leather interior with (get this) 30-way powered multi-contour front seats! They look like they’re right out of a concept car, and are some of the most comfortable perches in the industry. Additional features include full LED headlamps with auto high beams, proximity keyless access, pushbutton start, a heatable steering wheel, a fully configurable TFT colour gauge cluster, Sync3 infotainment with Apple CarPlay and Android Auto, a 360-degree surround parking monitor, sensational sounding 19-speaker Revel Ultima audio, heated rear outboard seats, a panoramic glass sunroof, plus a host of autonomous driving technologies like adaptive cruise control, self-parking, pre-collision assist, and more. If you want to know what a given luxury brand's best-selling vehicle is, more often than not it's their mid-size five-passenger crossover SUV, if they have one. It doesn't matter whether we're talking about Lexus, Cadillac, Porsche or no doubt Maserati when it's new Levante soon arrives on the market, and it has certainly been true for Lincoln and its MKX. That is until the MKC hit town. The MKC is Lincoln's very competent compact crossover SUV based on the already excellent Ford Escape. 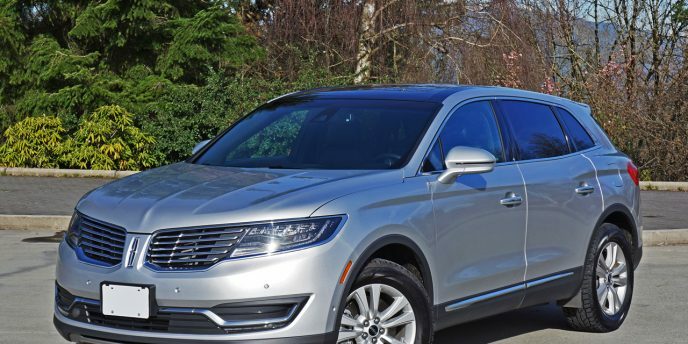 Last year the MKC edged the MKX out to claim top spot in the luxury brand's pecking order with 2,970 delivered across Canada compared to 2,900 for the larger CUV, but this will likely settle back to status quo now that the all-new MKX is here and pent-up demand for a smaller Lincoln CUV is fulfilled. In fact, we've already seen signs of normalization with the MKX back in the lead after the first two months of 2016, with 433 down the road compared to 309 for the newer model. There's a lot to like about Lincoln right now. After years of experimenting with various styling directions they finally seem to be on the cusp of culturing a distinctive personality that combines unique design elements in key areas, specifically the eye-catching split-wing grille up front and single slim taillight strip at back, both looking original and quite pleasing on every model they've been applied to, while the drive experience delivers competitive performance balanced with comfort-biased luxury.